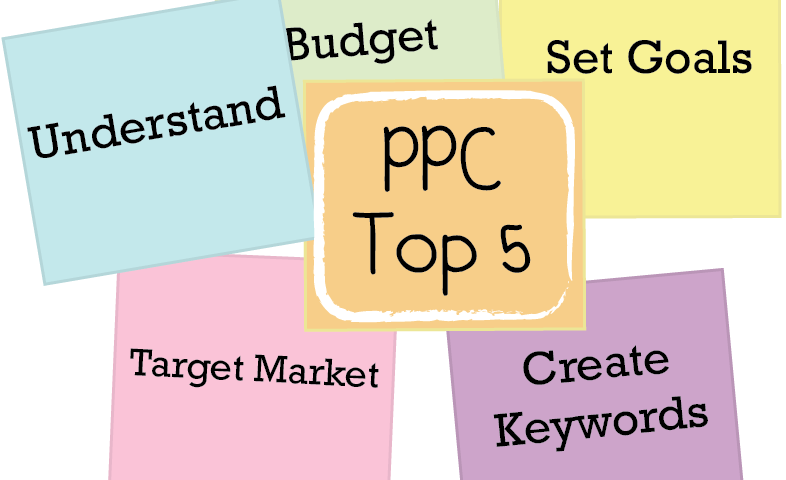 Creating a brand new PPC account for yourself or a client can feel a little overwhelming. There’s a lot that goes into PPC accounts, budgets, keywords, campaigns, ads…the list could go on and on. There are a ton of opportunities to make your account a success. But, as with many things, the hardest part can be getting started. What should you do first? In my experience as a pay-per click specialist I’ve found that the following 5 things get accounts on the road to success from the get-go. 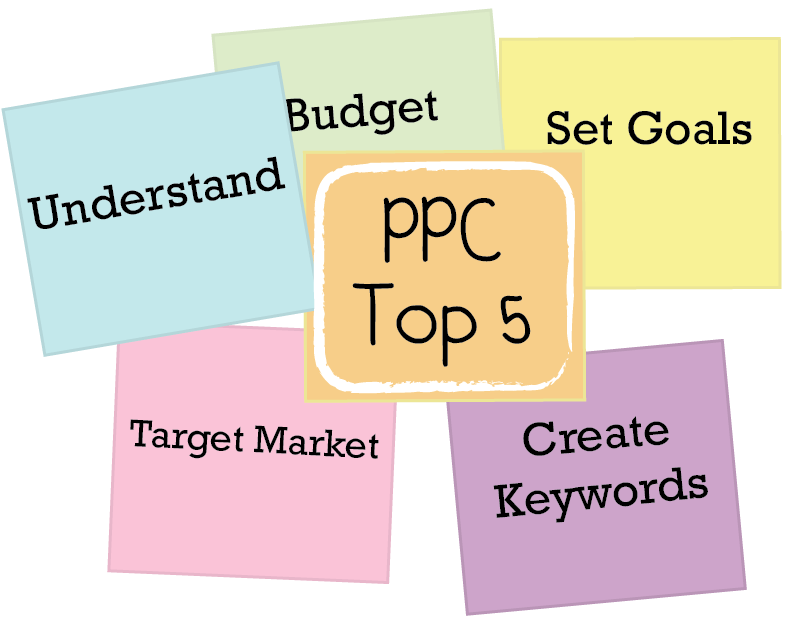 Use them as you begin your new PPC account and you’ll find success as well. Good luck! This will be pretty easy if you happen to be the business owner or have worked there but regardless of whether you’re internal or external you must understand the brand! What services to they offer? What are they known for (good or bad)? What sets them apart from competition? Once you have a clear picture of the business you should get to know their marketing a little. What marketing has been tried in the past? What messages have been successful? Right from the beginning it’s important to establish a budget. How much is the business willing to invest in this? It can be helpful to get a budget recommendation from a ppc company or someone who does pay-per click. Budgets vary greatly in the ppc world depending on which industry you’re in. For example a custom pencil carver may only pay 7 cents when someone clicks his ad while a greeting card company pays an average of 20 dollars per click. The difference is competition. Is your industry very competitive online? If so, make sure you’re willing and able to make the financial commitment it’s going to take to make pay-per-click successful. If you’re unsure whether ppc will work for you, maybe you’re the first in your industry to try it, don’t be afraid to start small. It’s okay to begin with a small budget as long as you build the account with that in mind. Don’t overwhelm and stunt an account’s success by building it out too big in the beginning. If you’re going to start small budget-wise, start small account-wise and put the money where it’ll count. Before even creating a pay-per-click account you need to establish clear goals. Once you have a list of goals and have ruled out any that really aren’t attainable, brainstorm all the ways you can accomplish these goals. Decide on the best way and adopt this as your strategy. In order to run any successful marketing you must understand your market. Are they one gender in particular? Are they a definite age group? Knowing these things will allow you relate to your target market and create appealing, compelling, successful campaigns. Now your ready to put together keyword lists! One of the best places to start is on the company’s website. Look at how it is structured. Is it by service? Product? Gender? If it were by service, I would recommend making separate keyword lists for each service. Next make a list of all the variations of the trade name. General, specific, misspellings, everything. Take time to think like your customers. What would they type in looking for your brand? Once all that’s been done, it is useful to do a little keyword research. Use resources like the keyword tool in AdWords, use Google Trends, even the Google search bar can be helpful giving you suggestions as you type in a search term. That raps it up for the top 5! You’re now well-equipped to assign keywords to appropriate campaigns and ad groups, start writing ads and build your account based on what you know about the brand, budget, target market and the strategy you’ve implemented to achieve your goals.